ATLANTIC CITY-In 2017, conservative engineer Hirsh Singh was a rising star in the New Jersey Republican Party, but at the end of the day, he was an outsider. A newbie. The call had already been made by the party to support former Lt. Governor Kim Guadagno and Singh, as we know, lost to Guadagno in the primary. At the time, Singh revealed a prophecy about the current Governor, Phil Murphy whose reckless actions have put New Jersey on a path of imminent destruction over the course of his first year in office. Now Singh says he has an idea for how to save New Jersey and despite losing out to Guadagno in 2017, said he will work as hard as he can to ensure Murphy is a one-term governor through social media and grassroots efforts, combined with old fashioned political stumping across the state. In a video during his campaign, Singh said the New Jersey Democrats were pushing socialist banker and President Barack Obama insider, Phil Murphy. “He’s trying to buy the governorship and raise our taxes. Today, Singh’s prophecy becomes a nightmare for all of New Jersey as Murphy, champion of illegal immigrants and socialist policies for New Jersey announces new taxes for residents of the Garden State in his 2019 budget address. 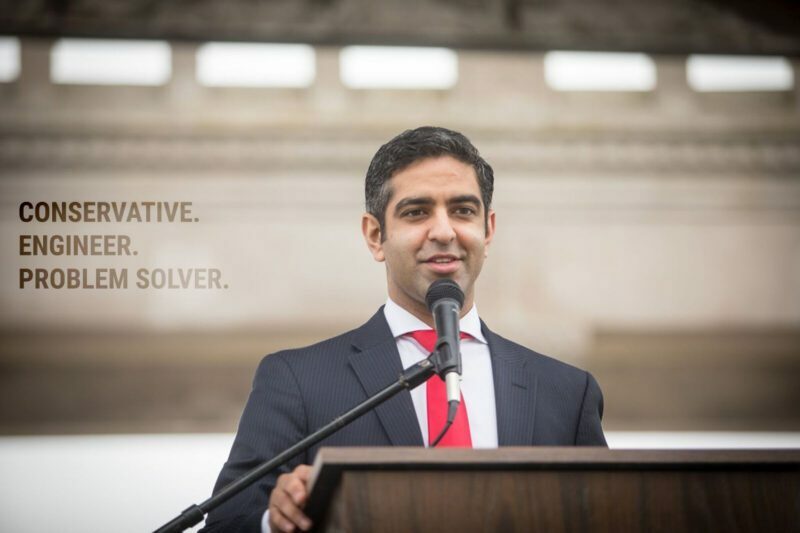 Singh said he will not be running for Governor, but will be leading a grassroots effort to grow support for Republicans and conservatives across the state. If he has to, from the outside, in, in order to drive out Democrats in this year’s critical state assembly elections. Below is the 2017 video of Singh’s prophetic statement regarding Phil Murphy. To connect with Singh, visit his Facebook page. The Murphy Threat – has become real. Volunteers Needed! Tomorrow Governor Murphy is expected to announce a new income tax. His socialist administration has already created a Rain Tax, a Parking Tax, and raised the minimum wage. We predicted and feared this 2 years ago, and that was why I entered the political arena but I need your help. This is the same politics of Cory Booker, Alexandria Ocasio-Cortez, and Bernie Sanders. If you are interested in helping please message me your phone number/county/town. We have groups gearing up across the entire state but need your help to save New Jersey. Thank you. Disclosure: this video is from 2 years ago – I am not declaring my candidacy for Governor.